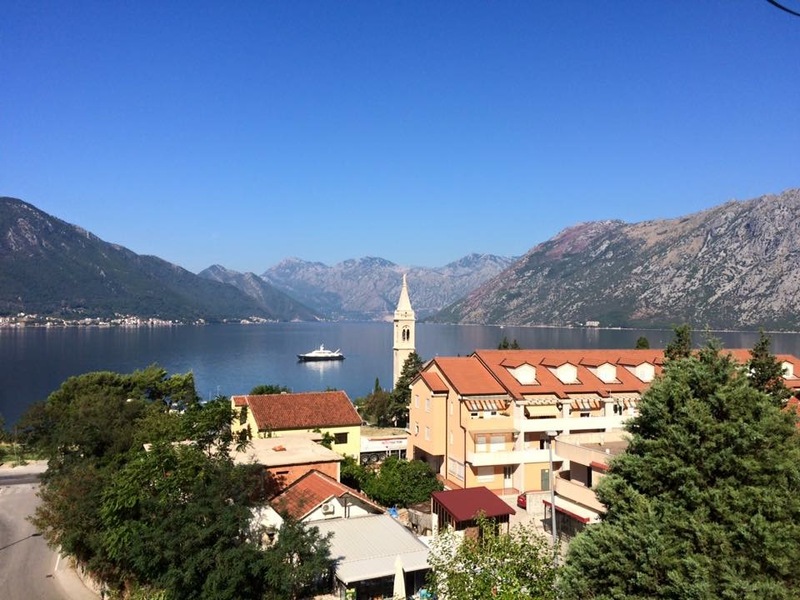 Montenegro is a country that many people don’t even know about, me being one of them, but has grown to become a popular holiday hot spot over the last decade. My friend was the one to recommend it to me and I am so glad that I went. Whether you’re coming from Dubrovnik or Split, Croatia, Tirana, Albania or Mostar, Bosnia you won’t be expected to pay more than approximately 15 Euro for a bus fair to Montenegro. Or simply do what we did and try and score a cheap flight into Podgorica. Unfortunately the only part of Montenegro we got to explore was the bay of Kotor [co-tto] but we did have 3 whole days to explore it. We flew into the nations capital, Podgorica at 7pm and caught a taxi to Kotor. This was about 2 hours away, but don’t worry it was a fixed price not meter and the taxi driver was really lovely. Oh and did I mention it was 31 degrees Celsius at 7pm? He was super enthusiastic about learning English and we had some good banter going. He told us how he particularly liked Australian T.V shows, to be more specific Mc’Leods Daughters, which is apparently a popular choice in Montenegro these days. Why? “because girls and horses…” followed by a big belly laugh was his response. Tip; make sure you get the information desk inside the airport to organise you the taxi transfer. The going rate was 40 Euro as opposed to the 100 Euro you would get charged had we strolled out on to the street and hailed a taxi ourselves. 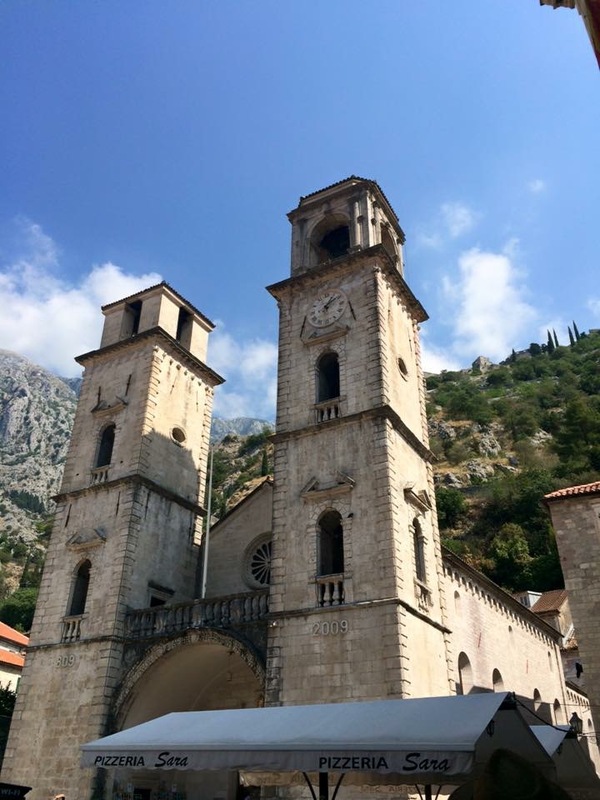 If you are on a tight budget, catch the airport shuttle to the main bus depo and then another bus to Kotor for about 10 euro all up. We made it to Kotor half asleep and met our lovely AirBnB host Iva. We had our own apartment with a killer view of the bay about 5kms up from the main town. It was nice to stay away from the main hustle and bustle and out of the old city walls as your got to see more of the bay itself. Spend a morning wandering around within the Old City walls and soak up some of the incredible history within the tight little cobbled alleys between the stone buildings. Then when you have enough water and energy (post gelato maybe?) hike up the old city walls to the top of the fortress Sveti Ivan or further off the beaten track to the Castle of Saint Giovanni. “These formidable fortress walls date back to medieval times, built on and off between the 9th and 19th centuries, and built by everyone from the Byzantines to the Venetians” The view from the top is absolutely stunning. Make sure you buy water before you start the ascent because the little water stations mid hike are double and triple the cost of ground level. It takes up to 40 minutes to the top with minimal rest stops or photo breaks but you can certainly take your time. I would highly suggest sneakers although I did see a lady wearing wedged heels so I guess it isn’t an absolute must. Oh and do the walk in the late afternoon when the views of the ramparts and mountain are in direct sunlight as opposed to your forehead copping the rays. 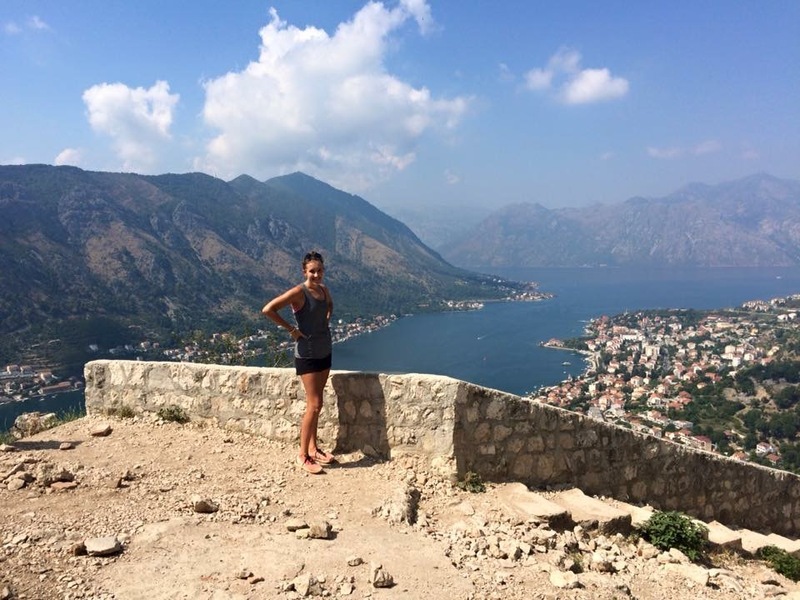 Hire a bike and ride around the bay of Kotor. We hired them for 9 Euro each from the Montenegro Hostel within the Old City walls. On bike is the best way to see the bay especially if the weather is nice. The ride is easy and flat but will take a few hours. The total distance is 40km but you can break it up into 5 sections and stop for coffees, lunch, picnics and swims along the way. Ok Naughty food post first… Pizzeria Pronto is the top cheap eatery within the Old City Walls (ask anyone or just follow your nose) and the perfect grab and go meal to enjoy sitting on the cobbled streets shadowed by the historic medieval buildings. The pizza comes by the slice and let me tell you it is the biggest piece of pizza I have seen… and I have been to NYC. 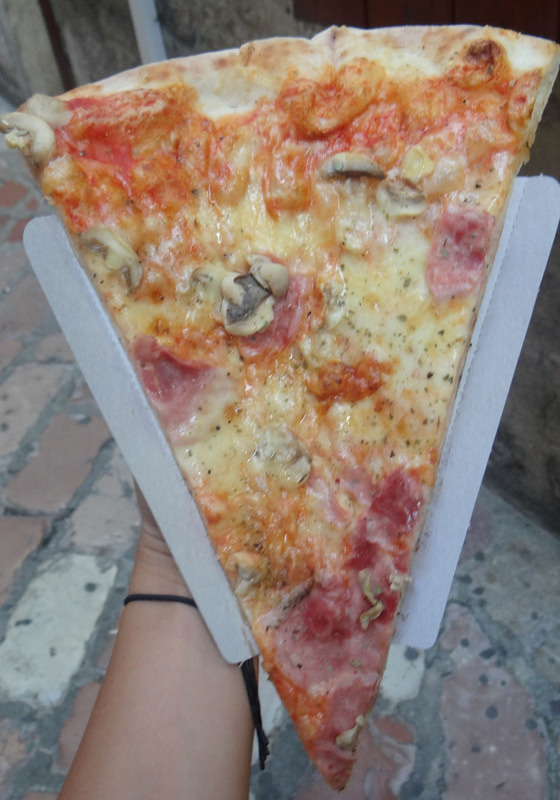 For 2 Euro ($3 aud) per slice, don’t be afraid to buy two at a time – Kotor is a judgement-free zone. Source: Little Travel Gypsy. 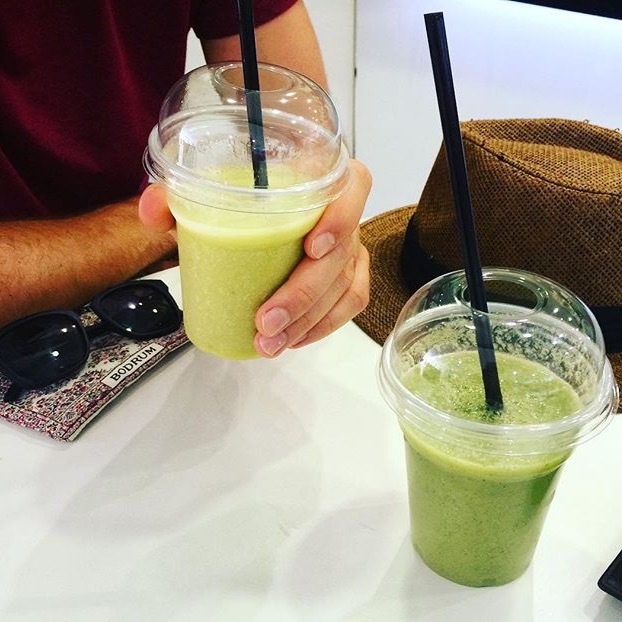 YO – Your natural way – For a more healthy option I found a green smoothie at a little juice/smoothie bar. You could probably imagine my excitement after a week or so of no greens. YO juice bar is located on the ground floor in Kamelija Shopping Mall just up from the old city walls. We stumbled across it by accident and ended up going back for seconds! This blend was banana pineapple mango spinach mint and soy! Heaven! The air con was also cranking inside which was a nice little break from the sweltering heat outside! And there’s a mini supermarket with fresh produce and snacks you can stick up on next door too! They have frozen yoghurt, thick yoghurt smoothies, healthy waffles and other fruity treats. Website >> here. South from Kotor a few hours is the tourist-packed city of Budva [bood-var]. Known for its flooding of Russian tourists during summer, or any tourist for that matter, it is still beautiful and offers a gorgeous coastline of crystal blue waters. 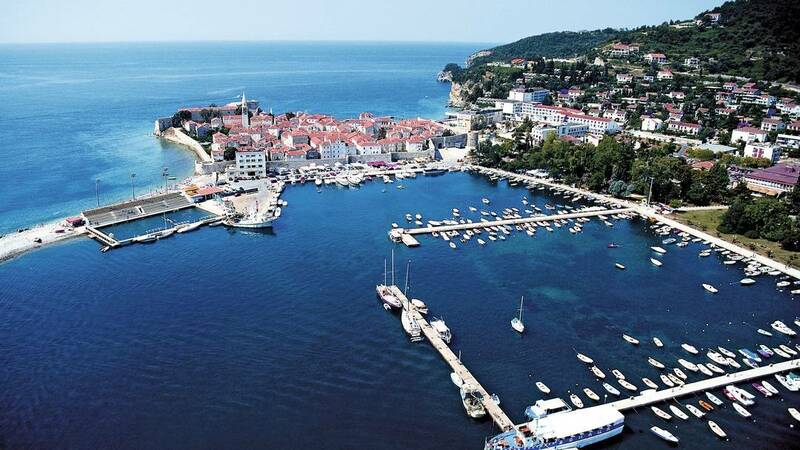 Embrace the insanely packed beaches and pumping night life and enjoy what Budva has to offer. If we had longer we would have made the visit – next time! 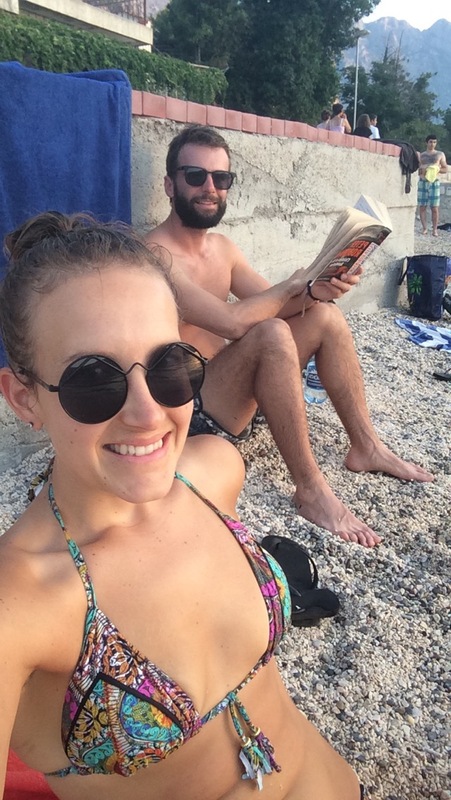 You can also do day trips to Albania, Bosnia, Dubrovnik or Mostar. You cant book anything online with the bus companies but we just strolled down to the bus depo the day before and booked our bus to Dubrovnik. The bus was comfortable and stopped on the highway for a toilet and food break. It took about 4 hours including the crossing of the boarders which can take some time depending on the crowd. Don’t forget your passport! !